After six months’ blogging (28 posts, 870 comments) I thought it might be timely to hand over the reins to someone else for a change. And who better than my blogging ‘mentor’, the irrepressible Lindsay Clandfield! (You must know Lindsay’s Six Things blog by now – if not, give it a visit). Lindsay’s new course, Global (Macmillan ELT), has just been launched – so I thought it might be appropriate to ask him to blog on the subject of coursebooks. A cynic’s definition of a language coursebook might say something like the following: One of the most popular yet unnecessary tools for learning a language. This is true. But classrooms, schools and teachers are also unnecessary for learning a language. What is it, then, about coursebooks that provokes such negative feelings in our field? 1 Provide a structure for teachers and students to follow. This can give a course a sense of security, of purpose and achievement as the class advances through the book. 2 Provide attractive, motivational, colourful and diverse content, which is increasingly multimedia (text, audio and video). 3 Provide graded content suitable for the learners’ level and a full syllabus that covers language skills and language systems. 4 Above all serve as a great timesaver for teachers, who are increasingly under the burden of administrative work already. Coursebooks represent great savings in terms of lesson and test planning time. 5 Provide a source of ideas and methodology. Modern teacher’s books come packed with extra ideas, tips and language explanations. This kind of material can help the teacher improve her teaching and knowledge of language lesson by lesson. 1 They all look the same. This perhaps isn’t so galling for students who do not, in general, spend as much time with a coursebook as a teacher does. Faced with teaching the same or similar material week in week out for years is not very motivating. 2 They all follow the same syllabus. Perhaps one of the contributing factors to a sense of similarity is that the majority of modern coursebooks follow a very similar grammar syllabus which forms, if not the backbone, then a very important strand of the course. 3 The grammar is wrong or misleading. 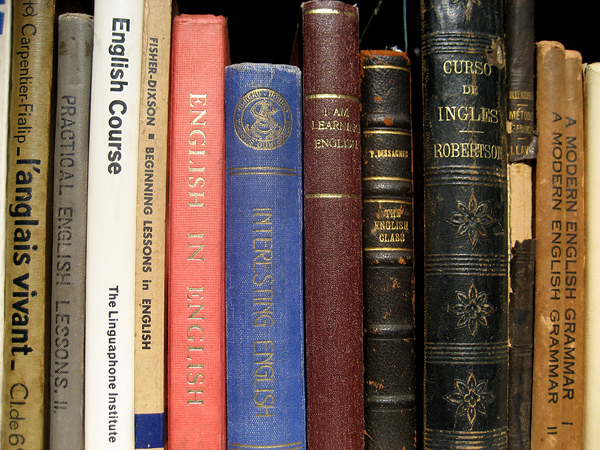 Some arguments around coursebooks zero in on how certain grammar points are treated, and claim that these are either outdated, unclear or just plain wrong. 4 Texts serve merely as a pretext to teach discrete language items. Used in this way, the material stifles any real communication in the classroom. 5 Texts and topics are Anglo- or Eurocentric and/or promote a western consumerist ideology. This is the hidden curriculum, implicit or explicit, in the cultural makeup of a coursebook. The high number of good-looking, rich and famous people in coursebooks has also been criticized recently. 6 Texts and topics are safe, bland and vapid. Because they have to appeal to a wide audience, it is argued, coursebooks will tend to avoid more controversial topics. When the audience is very wide (e.g. international coursebooks), some argue that they are not suitable for certain national contexts. 7 Coursebooks are too big. One common complaint is that there is too much material to cover in an academic year. This complaint becomes more and more vocal with the additional material that accompanies most modern coursebooks. The combination of these have led to calls to abandon coursebooks altogether, a posture well-known to readers of this blog. Most teacher training courses and key texts on teaching advise teachers to adapt the material that they use in class. Indeed, part of a language teacher’s professional development would seem to be developing a more critical view and use of published teaching material. Coursebooks are intended to provide motivating material, ideas, a structure and cohesive syllabus to a language course. Some do this more successfully than others. The role of the teacher cannot be underestimated either. As the old adage goes, only a bad worker blames his or her tools. A good teacher can make even the most dire coursebook a motivational experience for learners and teacher alike. From my point of view as a materials writer, having had to teach with and research lots of different kinds of coursebooks I would say that they have changed considerably over the years. Some of the arguments above are made citing examples from old and outdated books, a slightly unfair position to take. Any argument that begins with “all coursebooks are/do/have…” is in danger of being a reductionist overgeneralisation. Many coursebooks are based on months, if not years, of research and feedback from teachers. Of the points above, #2 (the grammar syllabus) and #6 (too much material) may be valid but this is often in direct response to what users say they want. Attempts to do otherwise have often resulted in commercial failures. Many of their “flaws” are not necessarily inherent to coursebooks. Some of the people who most read and follow the anti-coursebook arguments are coursebook authors themselves, or teachers who are working on an idea for a coursebook. The best answer to these arguments, it would seem to me, is not: “drop the coursebook” but rather “try to make a better coursebook”. Thanks for a great resume of the arguments for and against coursebooks. I’m often very critical of coursebooks, particularly in the secondary school area for bludgeoning teachers into a particular way of teaching. In teacher training sessions the complaint is almost universal that there is too much material presented (though I always wonder why it doesn’t occur to those teachers that they don’t have to do every exercise in the book). Where I think a lot of coursebooks fall down is in the presentation of the materials. It’s often difficult even for a teacher to identify the aim of the exercises on a page opened at random. I’ve done this test often with groups of teachers and I certainly don’t blame the teachers for not being able to identify the aims. Business English coursebooks often have a much higher level of presentation and the structure is often more apparent (though you could easily argue about the content). In general though, I tend to the opinion that learning a language is far to unpredictable to rely solely on a coursebook, so I tend to use them as orientation points for a course rather than slavishly following them as a route map. I’ve experienced first hand the amount of effort that goes into producing a coursebook, but have also experienced the “a camel is a racehorse designed by a committee syndrome”. I think a benign dictator would produce a much more interesting coursebook, and probably provide more variety in the marketplace. But that is probably too much of a risk for the number crunchers that run publishing houses nowadays. Incidentally, I was very impressed with the eWorkbook you presented at ISTEK, and think this could be the first step towards the coursebook of the future, maybe with a stripped down core unit, supplemented with a dynamically changing workbook. Your challenge to the critics to do a better job is a fair challenge. I wonder though if even someone with your reputation and experience would find it easy to get something dramatically different past the accounts department of a publisher? Thanks Olaf for your comments. I agree with you about the benign dictator vs the committee way of developing a coursebook. The former is sometimes called an “author-driven” project by publishers and you can often tell. Global is an author-driven course. This does not mean that the publisher was completely hands-off, but I think author-driven books end up having a more distinctive voice (that you can like or dislike, but at least you feel there was a person behind the whole thing, not just a committee). The dramatically different kind of book might come, in the future, via the internet and would be more user-generated content I think. Time will tell. Yes, nice review. I always point student teachers to Richard’s nice article on textbooks but yours works too! The only things I would add as being important would be A) on the upside They are portable and rugged. (this is the wonderful “simplicity” of a book) B) on the downside, cost and they detrain teachers (partly covered in your point 4 about “communication”). The only “better” coursebook IMHO would be if it dealt with the issue of “authenticity”. Meaning that a coursebook, no matter how well done is artificial and a construct of “some others world”. On the web we now have UGC – user generated content. The textbook of the future will be a book that is authentic because it is set up such that the student creates the content (SCC). This could be done easily, especially for lower levels. Students communicating with materials / a textbook of their own creation would acquire language much quicker I believe. I don’t like textbooks but like you said – we’re kind of stuck with them……..
Hi David, and thanks for your comment. I agree with you about “some others world” to an extent. It’s a problem I had with many texts, that were hard to interact with critically because there was no ownership or explicit statement of where it came from. The authenticity can be from “others” as long as students and teachers both know who the other is. The user generated course could be interesting, and exciting. How to make money out of such a thing is another question. And I’m not talking about making money for a big publisher, I’m talking about for the writer/developer/teacher/editor of such a course. I suppose it could be a kind of Dogme online thing, but it could be quite a lot of work for the teacher… would it be paid extra? Can I second that and say a very nicely balanced look at the pros and cons of coursebooks, Lindsay. Thanks very much. I’d like to add that I think the sheer number of different coursebooks out there is another factor to consider. There are differences between them, even though as you say they are broadly based on a similar grammar-orientated model; also, I’d say there are then books that I like using and feel benefit my students, but also there are books I really dislike (even some current hip up-to-date ones). I like Marisa Constantinides and Ken Wilson’s take on coursebooks as something that can be adapted and changed according to the teacher’s preference. When using coursebooks, we must remember that we are only really being presented with a limited idea of how to use the materials and activities (that of the coursebook author/s). I think it’s important to get away from that so you have your own teaching ‘voice’ and not just what ever comes from the book. I like the idea of customisable coursebooks – could this be the way they go in the future? – or other different ways of presenting the content (DVD, internet, etc). One last gripe with coursebooks, to do with content which you mention above. I think it’s usually either too general (and therefore more bland or safe) or too specific (I’m thinking of the country specific English File type books here). Another thing is the appropriacy of the material for students, something which came up in the comments on your post on EFL, ESL and ESOL over at the Global blog http://www.macmillanglobal.com/blog/author-blog/dispatch-from-the-uk-%E2%80%93-esol-efl-esl%E2%80%A6-what%E2%80%99s-the-difference. Hi Mike and thanks for the great comments as always. I think many teachers (and the majority of readers of this and other blogs) probably do adapt and change the teacher’s book. On a side note, I remember reading a great tip by Jim Scrivener about this. He listed a bunch of ways of using a coursebook better – and one of them was “for one class, do exactly what the teacher’s book says to do”. Interesting, as I think many don’t consult the teacher’s book. As for your comment about content, yep you are right. I’ll echo what my friend and materials-writing mentor Philip Kerr said about this: “It would be wrong to pretend that a coursebook can provide all of the answers all of the time”. Best we can do is provide something which allows teachers a degree of flexibility they can work from. Yes! I order a lot of textbooks for a first-year uni English program. And every time the publisher reps come to pitch the latest and greatest I ask when they are going to start offering custom publication for ELT where I am (Japan). They do it for other textbooks or in other markets. I find this is particularly needed in writing textbooks which are just plain too long for our students to make significant use of in one year. Just being able to pick and choose would help. (Units 2, 4, and 5 from this book and Unit 10 from the other, please) Being able to add specific local content would be great. Then when you get down to the level of detailed customization, wow! You start to address the Cons 5, 6, and 7. So far none of the majors have been able to respond. As a result we no longer order any writing textbooks and developed a suite of task-specific support materials in-house. Writing was the low-hanging fruit, but every once in a while the urge to replace the oral communication texts starts rumbling too. That, however, would be a much larger task. thank you for the name check, but my view about coursebooks isn’t quite as you state it. My point is that some teachers view the contents as ‘sacrosanct and immutable’, to quote my webinar comment. As a result, students are only passively involved with the content of the book. If you encourage students to change and/or add material themselves, their attitude to using the book changes immediately. And if you incorporate my contents page activity, then from day one, students feel they have a say (and a responsibility) in how they learn. Sorry for the misrepresentation, Ken. It seems to me you’re saying the best way forward when working with coursebooks is to make sure the students are directly involved in how they are used. I’ve obviously taken a bit of a wrong turn in saying it’s all about how the teacher adapts or uses the material. Please accept my humble apology about interpreting your take in slightly the wrong way. Hello. I followed the link and it’s been deleted. I see so many students who seem to be alienated from the process of learning English, and I tend to blame this on the fact that the language and what they have had to do with it has never belonged to them. Somebody has always told them what they had to talk/write/read about. And that somebody, through the channel of the teacher, has been the coursebook writer. That’s why Dogme seems to attractive, of course. But then I come across a lot of Northern Europeans (I mostly teach Spaniards) and they don’t seem to be so alienated despite, I suspect, having been nourished on the same fare over the years. And I am consequently confused. Hi Glennie, thanks for the comment (I am writing this opening sentence too many times I fear!). I wonder if students have such a loathing of the coursebook as some teachers. In fact, some of my students in the past have been known to get quite anxious if they feel I am digressing too much from the book (“teacher, we are only at unit 5 and there are three classes left!”). I’ve met some students who speak perfect English and learned by memorising the dictionary. I’ve met others who speak great English and learned by doing loads of controlled practice exercises and translation with a boring-as-hell teacher. And others who have learned through conversation (Dogme-style). If a student is motivated to learn, they will find a way. The European North-South divide though and English-language learning also baffles me though. Do teachers really complain that the coursebooks are too big? “Bigness” is one of the qualities I look for when choosing coursebooks so that I can supplement only when it fits the students’ needs / my mood, rather than out of necessity. Also, regarding the point (# 3) against coursebooks that the grammar can be wrong or misleading: I got directed through twitter to an interested talk by Martin Parrot where he spoke about grammar and stated that we are in danger of teaching a fossilized form of English. Nowadays, it’s easy to pick out which coursebooks have chosen their grammar points based on how the language is actually used based on corpus data (the face to face series stands out to me–e.g. they introduce “will” for habitual actions early on in the coursebook). There seems to be to be an elusive balance between being overly prescriptive and descriptive (to the point of giving the learners ‘nothing’ to cling to) in approaches to grammar. I’d be interested to hear how materials writers try to find this balance. I think that there have been several small changes to the grammar syllabus as a result of corpus work, and these will continue. For examples of some check out http://sixthings.net/2010/04/13/six-little-changes-in-the-grammar-syllabus/. While I think this is great in a way, I wouldn’t say it’s the “be all and end all” of a coursebook (or a course). In other words, corpus-driven material is not automatically more interesting or even motivating for students. I think back to some material I’ve taught with that wasn’t informed at all by the corpus that was clearly useful and lots of fun (e.g. some of the Streamline lessons). But seriously, it does seem to me that the field is in fact littered with creative new approaches to coursebooks which no one knows about, because they never catch on. At best, they become niche products. And why is that, if teachers are so against the status quo? Well, the answer as I’ve come to see it, is that we give far too much weight to the minority of teachers who complain (seriously) about textbooks. It’s important to remember that the vast majority of teachers are quite happy with the status quo. They do their thing within the constraints of a grammar syllabus, and it gets them through the class. Sure, they may complain about this or that item, or unit, or topic, but they are hardly calling for a revolution in coursebook design. Unfortunately, this vast silent majority doesn’t tend to go to all the conferences or blog about their teaching. We only tend to hear from the keener, more vocal, perhaps even more pedagogically informed teachers, and are thus left with the impression that most teachers hate coursebooks. They don’t, really. Thanks Marcos for this comment. I can’t help but feel that you’re right about the more vocal elements who are anti-coursebook. And those vocal elements can be… vocal indeed. Still, it’s this kind of thing that does keep things moving and all of us developing. And I read somewhere that in fact if you do want to change the status quo one way to do it is by changing the coursebook. Thanks, Lindsay, for kicking off – and contributing to – a great discussion. As one of the more “vocal” critics of coursebooks that you allude to, can I just pick up on your first justification for coursebooks, i.e. that they “provide a structure for teachers and students to follow.” This is very true, and there is no doubt that (often over-worked and under-valued) teachers and (often under-motivated and non-self-directed) students need some kind of structure to organise and scaffold the language learning experience. But is the coursebook the best kind of structure for this purpose – and what other kinds of structure might there be? And yet coursebooks (or most of them) are predicated on a linear and incremental progression through a (fairly arbitrary) sequence of discrete grammar items. Another reason coursebooks might not “fit” is that successful learning is motivated by a degree of personal investment, which in turn is partly a function of the learner’s perception of the relevance of the learning goals – and it’s unlikely that materials that have been devised for a global (pardon me!) market will always accommodate local – and personal – needs and interests. So, what other ways of structuring the learning experience might there be? Well, this comment has gone on long enough – so I’ll leave that question for someone else to answer! I agree that language learning is not a linear process. But most courses and education systems are (to the extent that they progress from one point to another with fixed outcomes and goals). And people like order, or the semblance of order at least. Working with a coursebook does not mean that automatically one will learn everything by incremental steps (though some learning will take place that way) but, if the coursebook and teacher are flexible enough to recognise this then it can help meet those goals. As for local needs, I think these can be met by materials that support the “establishment of a local discourse community” and which foster “the joint construction of knowledge, mainly through mediated talk” *. We may not be there 100% yet, but I would argue that present-day materials go further in doing this than some time ago. And again, we come back to the role of the teacher in making this work. I believe blogs could be very useful tools that could balance and reinforce the structure and safety net provided by textbooks. The teacher and students can “google” for grammar contents and topics offered in the textbooks and provide links for extra reading at home or discussion in class. Therefore a vague general topic such as “natural disasters”, which is covered by many textbooks, could be made more interesting and relevant by simply skipping what the textbook offers in terms of a certain reading activity or listening activity related to this general topic and by having a look at the volcanic eruptions taking place in Iceland now and looking for multimedia materials online. Those materials can be shared in class or the students themselves can interact with them at home. Of course, there will be great relevant vocabulary and chunks of language worth taking a look at in the coursebook and teachers should be taking advantage of that corpus-based research done by professionals. Textbooks offering too much material to cover? What’s the problem in that? Can’t you just pick and choose? You and I have discussed coursebooks a lot, and I like to believe it has been a fruitful and constructive dialogue. I’m in an interesting position, being a coursebook writer who now very publicly challenges a lot of notions about coursebooks, but I think this is necessary. Writers (and teachers for that matter) need to constantly keep questioning and challenging themselves, if we are to make any tangible progress. I seem to be in a “it’s actually quite simple” frame of mind these days about a variety of contentious issues in language teaching, and coursebooks are no exception. Pretty much all of my concerns about coursebooks at the moment could be easily alleviated by having 2-4 blank (faintly lined) pages built into every coursebook unit, whether it be at the start of the unit, in the middle, or at the end (or combinations of all three!). I’m not talking about the blank pages or extra handouts we’re supposed to “add” to our coursebook content (the ones that inevitably end up screwed up at the bottom of a backpack) – I mean actually part of the book itself, bound in. Teachers could still ignore these blank pages if they wanted to and let the coursebook do all their planning, thinking, and teaching for them, but I do think deliberate and regular blank pages in units would have an amazing effect on how coursebooks are perceived and actually used with learners. Frustrated teachers would suddenly have the room they need to breathe real life into their coursework, without the fear of being perceived as “ignoring” the book or schedule. Also, teachers who stick to the coursebooks slavishly would be getting a nice reminder and incentive to start putting more of themselves and their students into their courses. Heck, even if teachers ignore the blank pages entirely, students themselves would have a chance to do something of their own – even if it is some note-taking. So hear ye, publishers – continue on as you are and just put in regular blank pages, and I assure you there will be nothing but compliments from this old English Raven. I love the “blank pages” idea, Jason! Not difficult to envisage publishers competing with each other to make their blank pages look nicer than their competitors’. Wholeheartedly agree about more “space” in the coursebook being an interesting and simple innovation. However, with the arrival of ipads and cheaper laptop computers I’m wondering how this could eventually look in digital format… and I think it could look great. A combination of the blank space (Jason’s pages) and the capability to do what Daniel suggests above. Course this does not sort out the linear aspect of books but it has potential. I think a lot of people here acknowledge that the linear aspect of books reflects the syllabus priorities that are forced on to many teachers – we cannot always challenge that, but the blank pages create space for input that offsets or balances out the linear framework. So yes, blank pages will not change the linear nature of existing coursebook content, but will (potentially) facilitate more of a non-linear approach side by side with it. Initially yes, but no matter how well structured or presented, many coursebooks full of pre-set content are already baffling to certain teachers! At least with the blank pages, TGs can present a rich variety of options to choose from, and coursebook writers can dedicate some of that incredible commitment to presentations and marketing to presenting ideas and options. There are a lot of coursebook writers who would love to be able to dedicate their commercial presentations to exploring the myriad ways to extend, adapt or add to the content they have already provided! In a way, coursebook writers and publishers have to acknowledge that a huge percentage of teachers out there use their materials as are, and expect them to guide and instruct their teaching. Leaving blanks (with a range of suggestions on how to use them) is potentially as powerful a message and guiding framework to these teachers as the pages already full to the brim. We talk a lot about encouraging teachers to think outside the box, but then continue to deliver them incredibly well packaged and crammed… boxes! Now waiting to hear the publisher concern that this would add too many extra pages to the product and cause problems with pricing. Save some of that money that goes to making promotional keyrings and mousepads, and reinvest it in your materials, perhaps! The idea of blank pages is very appealing, but I can see one criticism in some regions. In lots of schools the books a recycled year after year and the parents of the children “rent” the books. Such books would be impossible to recycle and this would increase the book budget enormously (which would then have to be passed onto the parents). This is one of the reasons why workbooks often don’t sell so well where I am based. The idea might well appeal to publishers but it will be a hard sell (to put it mildly) in areas where the schools buy the books. What about books in ring-binder format as a compromise? I seem to recall that a few years ago on the Dogme list we discussed writing a Dogme textbook. The most popular suggestion was that the whole book should be blank, the different coloured pages to be created by individual teachers or, even better, by students. This is, in fact, the biggest problem I have with coursebooks. As David said, they often detrain teachers. Teachers stop thinking about their material, engaging with their students, developing, reflecting, etc. This is of course also very much a product of the way schools push course book use too. I also very much agree with Scott on the non-linear element of learning a language (or in general really) and course books do promote this I think. If course books were viewed more as a tool or resource and not a prescriptive syllabus, I think it would be better. It’s definitely an advantage that they provide a guide or reference point, but course books too often come across as wanting to be more than that. I liked elements of your ebook that you presented at ISTEK as well. In the future what I would like to see is the template Jason put on his blog a couple months back. A list of general goals and activities but with lots of space for teacher and student generated material. Rather than just have the activities online, put the whole course there and label them by activity, subject matter, target language, etc. Then the teachers and students could look through and pick out what they want or need. I have a teacher and class that do that now. At the end of every class they sit down for 10 minutes and look through a course book and decide on what they will do for the next class. I think that’s probably one of the best ways to use a course book. Of course, teachers and students can do that now with the way things are, but the fact is that most don’t and I do think it has something to do with the way course books present themselves and the ways they are presented. Ultimately, course books aren’t so much of a problem as they way they are used and presented is. All in all, this is a topic I enjoy discussing, but as far as the market goes, course books are the name of the game and will be for a long time I think. I like your idea that the rumbling minority keeps writers creative 🙂 I think that’s probably the most positive point that comes from these discussions. Just to briefly respond that yes Nick I think this kind of rumbling has its positive place in pushing things forward. And I like your suggestion about effective use of the coursebook. Ken Wilson, in his webinar for Macmillan, made some very concrete and creative suggestions in this respect too. Let’s not forget that most (all?) EFL teachers learn to teach through the process of using a coursebook, after they have received the minimal four weeks of training on a CELTA course and been thrown in at the deep end. To pursue that metaphor, for many ‘newbie’ teachers the coursebook will be their water wings for the first year or so, until they feel themselves confident and skilled enough to ‘go dogme’. I think that is a common perception but I’m not so sure it is valid. Don’t we rather – fall in love with the texbook because it is the only available “lover”? What I mean is that if there were other ways of instruction — we’d fall in love with them. As simple as that. However most teachers get stuck in a town where there are few options….. I think Nick was alluding to that when commenting about how textbooks are “presented”. We need a textbook where students enter content. It is as simple as that. Who ever declared that a textbook should be all “done” ELT has a long way to go and a lot to learn from the constructivist philosophy. Hi David, thanks for the comment. I would say that dictatorship is a bit of an extreme word in talking about textbooks. I know many schools that proudly say they use their own materials (even though sometimes this just means photocopying many coursebooks and cobbling them together). Same goes for many teachers. And as Marcos points out earlier there are lots of different kinds of course projects out there – not all of them are commercially popular but they do exist. The spread of the internet now makes even more possible to go beyond a coursebook. So let’s not get carried away. As for a coursebook for which students enter content, I think many tasks in existing coursebooks do allow for that. Your very nice idea for “this is where I live” is one I have seen (and used) in coursebooks, I just did not have the space to put the whole blank page. The idea is that the student do it in their notebooks. Inside Out, English File, Cutting Edge and Face to Face (to mention books which I did not write) are all examples of big international coursebooks which have got opportunities for students to enter content if not literally on the page then via tasks which encourage them to do so. I certainly wish Jason the best with his “blank page” project. I think that these kind of things can now be done without the attention of a big publisher if you want, via self-publishing. Hall Houston has a great series about this on his blog: http://hallhouston.blogspot.com/. BTW, the book is co-authored by one of Darren’s colleagues. This is outstanding, Patrick. How great is that? If you know any of the people involved with that publication, please let them know that a feathered blog post is coming their way very soon toasting their work. Of all places, for this to happen in Japan as well! This sort of thing gives me hope, spadefulls of it. Thanks for making my coursebook writer day, Patrick! A lot of people are doing it for themselves now… the big companies bring us catalogues full of books which all look the same, none of which are appropriate for our needs. So we can either chuck all the books away, or make our own. Why not? At this point, I would ask: why does this sort of thing need to be the domain of fringe self-publishers? If it represents a chance to innovate and improve overall language teaching (without necessarily threatening the standard approach or expectations), it is something major publishers should be interested in. You see, like you, I do actually believe in working WITH major publishers rather than against them or outside of them. I think a hybrid approach with the linear pre-set/pre-provided system (a sort of security blanket for so many teachers) supplemented with genuine space for teacher and learner-generated content and activities represents an enormous opportunity for a major publisher. It requires careful thought and presentation (not to mention support and a new style of marketing), but for whichever publisher that manages to pull it off, there are potential riches involved. There are ways to present this as being enormously helpful to teachers, but it will require some innovation and faith. I won;t say publishers do not have these characteristics, but I will claim that they seem to be in rather short supply these days, or limited to what appear to be very very safe projects. Major publishers make a lot of claims about helping teachers, being market leaders, being innovators, incorporating latest methodology, being dedicated to really making a difference for learners. Another reason I want major publishers to consider alternative approaches like the one I mention (which is not really asking a great deal, when you think about it) is because I want them to start living up to (more of) their marketing and PR claims, and maybe even win some more genuine faith and admiration from teachers (and learners) across the board. We all know what influence the major publishers have in ELT, so I sort of want them involved in the innovations like the ones we have discussed here – quite simply because it will affect and benefit more learners in more contexts (drastically more) than some nice little self-published projects around the outermost fringes of the industry. To soften out this sort of tone, I agree with you, Lindsay, that there ARE some good innovations happening, and rather than biting and braying over all this I am actually concentrating a little more on finding and publicising these examples. My look at your Global series was one example, and I have recently been taking a closer look at Ken Wilson;s Smart Choice series as well – which is a fantastic example of a series made for versatility and more teacher choice. Yes, most all of ELT is stuck with the coursebook, with most of that being coursebooks delivered by major publishers. Let;s support and publicise publishers big and small (and independent) trying to do something about what the coursebook represents and the impact it has on classrooms – and let;s keep pushing for more of the same! Whoa Jason with all the commenting you are doing on this and over at my blog you are certainly keeping busy! You are right that we should keep pushing the publishers to different kinds of projects. I don’t mean to consign innovation to the fringes. It takes longer, and is harder to move the really big publishers but it can happen. It sounds like you should be opening up new lines of dialogue with Longman about this project though (Longman, are you listening??). I have no disagreement with you! I would like to echo your cry, Lindsay: Longman, are you listening? Seriously though (and as I think you know), the bigger the publisher, the harder it becomes to drive any sort of real innovation. Stakes are larger, sales targets are more extreme, risks (of any kind whatsoever) are avoided as a matter of company policy, and publishing staff have their hands tied with tighter bonds. I shall see what happens if Boost! gets to a second edition (and if they actually let me make the second edition!) – I will certainly be driving for a number of innovative improvements. I might be wrong, but from the gist of this post and the follow up comments, it seems that coursebooks are mostly written for teachers rather than students. Surely this is part of the problem then, if the wrong crowd are being catered for. After all, the students are the end users (and more often than not, the ones who are actually paying for these books). If there’s a criticism that there’s too much material in books, the same could also be said for the number of tests that are included in the teacher’s book/CD-Rom. There’s usually a test after each unit, often a test for every three units, a test for the whole book, sometimes a choice between short and long tests, A/B versions, etc. But where does this demand for so many tests come from? The students? I doubt it very much somehow. Unfortunately, these tests usually reinforce the linear approach to learning and the belief that ‘progress’ can easily be measured. By that I mean that they often test discrete grammatical structures or lexical items, giving the illusion that being able to fill in a few gap fills or circle the correct word is a sign of ‘knowing’ these structures/items etc. Maybe they do ‘know’ what is being tested, but whether they can use it is an entirely different matter. Skills that teachers used to need, that when deemed essential to the craft of working with children — such as curriculum deliberation and planning, designing teaching and curricula strategies for specific groups of individuals based on intimate knowledge of these people — are no longer as necessary. With the large-scale influx of prepackaged material, planning is separated from execution. The planning is done at the level of production of both the rules for use of the material and the material itself. The execution is carried out by the teacher. In the process, what were previously considered valuable skills slowly atrophy because they are less often required. Does a dependence on coursebooks cause teaching skills to atrophy? How could you pre-empt this e.g. through training at both the pre-service and in-service levels? I don’t know if this is true, partly because it paints a rosy picture of the past and kind of assumes that all teachers engaged in much more admirable work in a “pre-materials state of grace” when, if you read work by other humanists they suggest that a lot of teaching “used to be” chalk and talk, copy off the board and keep quiet. Which would fit in with some of my experiences at school. I agree that dependence on the coursebook is not a good thing, if for no other reason than you eventually get bored and demotivated. But I think teachers still do deliberate curricula, design teaching and strategies for particular groups of students. More and more they are doing this with technology. Good teachers did this in the past, and they do it now. They do it with, without and even in spite of the coursebook. It’s a very important observation that the consumer and the purchaser are not the same person. I can’t actually think of any situation where the learner chooses the coursebook. This has resulted in schoolbooks which teachers think children like, but in fact they don’t understand or like. One thing that is extremely popular here in Germany (I don’t know if they are common in other countries) are planners. These booklets tell the teacher in minute detail week for week exactly when and what they should be teaching the class. For me, they are plain embarrassing, but it’s the No.1 hit at any presentation. My school got a lot of heat for using a coursebook which wasn’t approved for our school type. We only solved the problem when we told the authorities that it wasn’t a coursebook but supporting materials. So now we don’t have a coursebook in our school, just supporting materials. Publishers can’t really do anything about this as they are bound to produce what is authorised by the ministries, and this results in the one-size-fits-all product. An idea about how we could “organise” teaching without a course book. We could organise our teaching around the “Can do statements” tasks naturally emerge from these statements as does relevant, useful language. Then we need never teach the present perfect for the sake of teaching the present perfect again! I have to say, although I’m a fan of the unplugged approach, thinking about this possibility led down all kinds of paths, perhaps not all of them positive! I wonder how events such as IATEFL and the national association events would look without publishers, authors, stars and the associated course books? By the way Lindsay, when they aren’t teaching unplugged (!) the teachers at our school are really enjoying Global. I wanted to add a further comment here about the importance of innovations reflecting ELT realities in coursebooks here, and use Lindsay’s own series Global as a very effective example. The units in Global feature a section on Global English, with unscripted dialogues featuring non-native speakers of English. Now, some of the contexts I have taught in would not initially warm to this sort of stuff, being completely fixated on examples that are spoken by native speakers and structured in a way to make them really easy to understand (but rather far from natural in pace or discourse patterns). I can already imagine some teachers I know whining about it or skipping that part of the unit entirely. But it is exactly what EFL learners and teachers need more exposure to. This was a risk from a major publisher, but a sensible one that reflects English language learning reality. We need to throw our support behind innovations like this one, and constantly push publishers to consider and incorporate more changes of the same spirit and substance. Great article, and as ever a very in-depth discussion to follow. Can I just sing the praises of the course book for new teachers. During my first year of teaching, having wrestled with the 3 month home-study and one month intensive TESOL certificate at Sheffield Hallam, I would have been totally lost without course books. In that first year I experienced more teaching hours in my first week than I did during the entire TESOL course, so you can bet your bottom euro that, even tho it was dull and lifeless, the course book was my saviour. As I developed into the role, my teaching style took hold and I grew in confidence and I wanted to be set free from the restraints of ‘following’ and use my limited skills to create. This wish was granted in my 2nd placement in China where a supportive staff and DOS enabled me to break free… but still you get called back to the book, and why shouldn’t you… it’s written by someone with far more experience and knowledge than I. In private schools, courses are sold on the book; what can it give me is the question rather than what can I learn. It’s not until you serve time spent with your new learners that they begin to understand that the teacher can offer much more than just a regurgitation of a book. So for me teaching EFL/ESL is a synthesis ok good book and good teacher. Most of the successful teachers I have encountered in my 4 years have been of the same ilk, who use the text book as a grounding and supplement it as is relevant to the learning styles and personalities of the learners. Apologies if I’m trivialising, or lowering (lightening?) the tone but at a TD workshop recently we were exploring metaphors for global general English CBs and I’d like to share one of my favourites. All very succinct, thank you. We have a discussion about textbooks on the IATEFL Young and Teenage Learner SIG last October which covered some of these and other points. Your comment about author-driven books is very interesting. The distinction between author-led and market-led books was first made in the late-eighties when I had done a few books. The author-led books in those days were idiosyncratic and didn’t sell, the market-led ones were the opposite (although there was always enough of the authors’ voice to make them distinctive – I’m thinking of Interchange and Headway). So we’ve had 20+ years of market-led material, and no wonder people have got tired of it. But without detracting in any way from the personal look, voice and touch which we can see, hear and feel in your books, I suspect that your material is more market-informed than you might suggest, and I think your editors and marketing personnel would think so too. The reason for this is that despite the author’s breadth of experience, such as yours, there is always a good reason for finding out about how things are done in different classrooms. On the subject of the effective use of textbooks, my all-time favourite quote is Alan Cunningsworth Evaluating and Selecting EFL Teaching Materials ‘A textbook is a good servant but a poor master.’ The quote was made in 1984, one year after I published my first textbook, and it’s been pretty central to everything I think I can and should do. Thanks Simon for your insights and comments here. I have to plead complete ignorance to the situation in China, and I know that they also have their own books and way of doing things. I’ve followed with interest your writing about the experience. Re: author-driven and market-driven… I completely agree with you that my latest project is also market driven. I suppose when I said author-driven I meant that the project has a clear lead author who has made the proposal, put his/her stamp on it and seen it through from the beginning. Unlike some “coalition” projects where the publisher gets together a whole bunch of authors and tells them “we need X,Y and Z” I would classify English File (the original) as a version of the former, with Paul Seligson as the voice behind it. The kind of author-driven books which you mention are probably harder to find now. Unless they are appearing as self-published (see Phat English, on the Hall Houston bloglink I mentioned earlier) or as web projects. Which could be the future of innovative materials for language learners. On author-led vs market-led courses, the irony is that publishers of the latter often want a ‘name’ author on the cover, in order (a cynic might suppose) to mask their market-driven origins. Patrick, that’s a fantastic book recommendation, cheers! I just followed your link and took a peek at one of the sample units for the first time, and I absolutely LOVE it. What a great, original concept! I agree Marcos – it might be the nearest thing to a “dogme” coursebook that you can get! Just downloaded the sample unit – very interesting indeed! I would love to try it out. To come back to our earlier thread this just is another example of the wide range of course material out there. It’s not all the same. Footnote to Scraps: I would say that a very near future version of this book would be an online one, or digital version – where the scraps include audio, video and images. All kinds of possibilities arise. True, Lindsay. But do you not see this as an indication of the way things are going, and, ultimately, the demise of the coursebook as we know it? Yes Lindsay – an example of what is out there, but not out there for the majority of teachers (whether through awareness, availability, policy, etc.) in the majority of contexts. Forgive me for starting to sound like The Harp of the South, but this reinforces some of the points I have already made, and leads me to say: If this is such good stuff, why would teachers need to have to dig so deep to find it? Love your point here and in other places in this thread about the developing nature of digital materials and formats. Exciting times indeed! Hi Marcos and Scott (and Patrick). That is an absolutely outstanding coursebook. And yes, Scott, I think it is an *unplugged* work in more ways than one! I fully intend to plug its unplugged attributes like crazy. On a personal note, the real (and literal) icing on the cake re Scraps is that Sarah Mulvey and Brian Cullen the co-authors of the series are getting married (to each other) in September. And…(exciting moment for Lindsay this), Sarah is Canadian. Brian Cullen is, of course, Irish. Very. But I am sure a smaller publisher like this will enjoy (and deserves) praise and promotion from multiple sources. The more the better! Given that this seems to be Scraps day allow me to add this picture of Nagoya teacher Matthew Bowden (who will kill me for this) showing off ‘Scraps’ First Edition. This was taken way back when. I believe they have a new cover now. I had a look at the sample unit from Straps. The digital format would work considerably better as it would include videos and audio. It is also so much easier and convenient to find digital pictures than to use scissors and glue. And more ecological. Place an interactive whiteboard in the classroom (or a beamer and a screen) and presto the students can easily share their work and what is relevant to them. This emotion-charged material will surely generate lots of useful and relevant language which will in turn be easy to retrieve because of the emotional impact. Great post and super comments. Thanks Scott, Lindsay and everyone for this. I think some publishers are listening and moving in the right direction! I believe the web can really help address some of the issues in a way that even the best static printed coursebooks will never be able to. As Olaf and others have mentioned there are e-workbooks such as the Global one that clearly illustrate the new ways publishing houses are offering greater flexibility. In reply to Ted O’Neill ‘s comment “So far none of the majors [publishing houses] have been able to respond, I’d like to mention English360 which is joint venture with Cambridge University Press. Basically, the founder Cleve Miller set out to address these exact points being discussed here. Anyone who’s spent more than five minutes in a staff room (or a classroom!) knows that teachers everyday make decisions about the way to use or not use the coursebook – teachers and learners are customising learning material all the time. It’s a very stressful process that the busy teacher tackles with courage and armed with creative and lots of energy. Large classes can be challenging, running to the photocopier or grabbing a pair of scissors and glue are not always ideal. In recent years many teachers have turned to the web to make the lesson more learner-specific, to expose learners to an accent or video that is more appropriate than the generic one available on track 38 of Unit 12 in the coursebook and these teachers are in their unique ways making course material the property of their learners not the “construct of some others’ world”. English360 allows you pull the content from a multitude of sources, mix and match it with authentic resources that are applicable to that learner or learner group or material that you have self-authored. Cleve set up the English360 web platform and partnered with Cambridge University Press to offer disaggregated content and a learning environment around that content that yes, has “blank” spaces for teachers or learners to slot stuff into. They can make “course resources” personalised and non-alienating for learners (good point Glennie ) . Note: course resources (I like the focus on supplementing) perhaps we need to move away from the term book, hey ?? and use resources, material, space, discussion areas. My favourite term is learning springboards. In response to Scott’s comment on “sequence”, let me share with you what can now be done with the 32+ titles already available via English360. All learning items can be re-sequenced, re-ordered and re-arranged. Regarding books that are too long, yes, click delete and cut down or click add content and add an activity that you have authored to replace. Get learner contributions via forums, page comments, feedback options or personal learning libraries. I think the “pages” come alive then because it is the dialogue that extends around them before or after a face to face session. Pull in the grammar that has been accurately sequenced to meet those learners’ needs or interests – get away from the arbitrary. Personally, I think setting up activities for specific learners is also important, everyone has a different style. Hit “print” if that is important in your context. English360 truly allows a coursebook to be “own paced, own space”. Why shouldn’t learners listen again or listen before at home? Why should the audio material be on the teacher’s CD? Oh the list could go on …. but this extensive thread has inspired me to summarise the drawbacks of coursebooks and capture some of your suggestions so that more stakeholders can listen in. I’ve added a blog post “CC is for Customisable Coursebooks and Creative Commons publishing” http://english360.com/blog/2010/05/coursebooks/. This is has started…. There are certainly lots of resources for teachers and learners available on the web, but not much quality control. Conventionally published materials have been through a rigorous and critical editing process, especially important in these competitive times when the ELT coursebook market is pretty well saturated. A lot of stuff found in the ‘blogosphere’ has not been edited at all. It’s true, Matt, that there’s a lot of cr*p out there, dressed up as language teaching material. But if the web were used – not as a source of pre-packaged materials – but simply of raw text that could then be shaped and exploited by the teacher as they see fit – isn’t this enough? Or even better – what if there were some google-like algorithm that could seek out texts according – not only to topic – but to level of difficulty? Or that could adapt texts to the difficulty level that is required (e.g. by substituting high frequency for low frequency lexis)? And if this were accompanied by some kind of program that -having retrieved or created readable texts – could automatically create appropriate gist and discussion questions, along with a battery of gap-fills and text-reconstruction activities, and key word lists and grammar cross-references – wouldn’t all this provide a viable substitute for coursebooks? You can type in a search term and then results will be produced, each with its own readability rating. The second link that I know of is even more useful. It is a text checker made by Oxford and it allows you check what percentage of words are one of the Oxford 3000 keywords. This then allows you to make a rough estimate on the suitability of a text for intermediate to advanced level students. Not quite the solution to what you ask for above, but a useful starting point nonetheless. Sorry, forgot to post the link for the second one. Thanks Peter for those links. I would also want to add the VocabRange tool on the Compleat Lexical Tutor (the link is in the list of my favourite websites on the right above). This will score any text in terms of the frequency of its lexis, as well as its lexical density and various other measures that have a bearing on readability. It also allows you to manually alter a text to bring it within your students’ range. A great discussion to which I would love to add a few more thoughts on coursebooks which still reign on the ELT scene in many countries simply because there are teachers who have no skills, motivation or incentive to go beyond them and millions of learners who have those expecations mentioned by previous commenters – a coursebook is taken as a given and once they buy it, they fret if it is not used fully, unless the teachers or the institution instil the notion that the coursebook is merely a framework on which to build and no more. My main criticisms of most coursebooks, nowadays, is that although many of them strive to be worthy, they end up being very boring and totally unmemorable. It is really worth remembering some of the most successful coursebooks of all time and to reflect on their success, which was due mainly to powerful and totally memorable contexts – their task design weaknesses pale in comparison to the power in the stories, the silly humour, or the mystery. More materials like this needs to get written, perhaps not by clever ELT people but by powerful storytellers. Or people who have a great sense of humour… Hmmm? 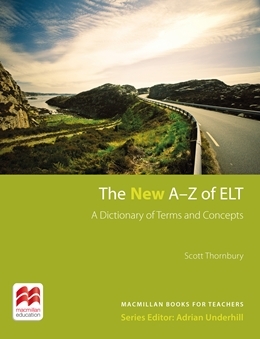 Is the ELT community ready for such material now? I am afraid a large proportion has been brainwashed into a coursebook and its adjacent paraphernalia consumerism – something I recently wrote about ( a six year old needing five books in their very first year of learning English….!!!!). Except perhaps some of the more beautiful publications for young and very young pupils who have no reservations about entering the world of make-believe, including fun activities and generally being visually really lovely. I am not sure I see the value of blank pages – it bespeaks a lack of trust in the teacher to insert, supplement or modify – don’t students have notebooks with plenty of blank pages? This sounds rather gimmicky to me, with all due respect to the very great experience of the present company, which includes quite a few well known ELT materials writers. It’s the same lack of trust in teachers who are asked to use five, six or more books – lest they should be idle… But this is a whole different discussion, having to do with teacher qualifications and the reasons for hiring such teachers. It’s those audiences that publishers have catered to for many years, producing material which managers use to protect their students from teachers…. The triangle of Teacher – Learner – Textbook as I see it, at present has the Textbook at the top. Until we have a generation of teachers with full capabilities for varied and versatile activity and materials design, I’m afraid it’s not possible to be talking about dogme classrooms either or inserting dogme moments in coursebook driven syllabuses, whichever suits the teaching context and the particular learners. This does not mean I am against coursebooks or that I feel that using a coursebook page, albeit more creatively, is something I revile. But I would love to see some more creativity and fun, some more inspiration, some poetry and literature, too… I would love to see a coursebook that will inspire me. Thanks, Marisa, for your thoughtful (and heartfelt!) comment. It seems to me that your main criticism of coursebooks is – not that they are structured around a syllabus of grammar ‘mcnuggets’ but that their texts are anodyne and easily forgettable. Wouldn’t the best solution be – not producing more coursebooks with yet more (potentially anodyne and boring) texts – but encouraging teachers (and learners) to choose their own texts, and basing the learning experience around these? Or do you think that this is making too much work for newbie and/or overworked teachers? Whether teachers follow a mcnugget syllabus or a syllabus of topics and themes with underlurking mcnuggets, many of them probably need the support of a coursebook, especially new or overworked +/unmotivated teachers. That coursebook could be better designed and more engaging for teacher and learner. I have seen plenty of enthusiasm ending in very poor text selections or non-text input lessons, either for reasons linguistic or reasons topical. And very poor, confusing, unmemorable or totally forgettable lessons as a result. I have also seen many exciting lessons taught both with and without a coursebook – lessons in which the teacher, the most significant mediator between materials and the learner, had the necessary knowledge/expertise and motivation to engage the lessons and give the content a chance to stay in memory, and along with the content, the language embedded in that content. So, no, I don’t have any significant conclusions to add to the pool of comments above, just that the assumption of throwing the coursebook out of the window or enforcing non-use of coursebooks, does not necessarily guarantee learning or acquisition either. Interesting, Marisa, that you draw the conclusion that inclusion of blank pages or sections signifies a potential lack of trust in teachers, when in my mind it does the opposite. One of my rationales is the fact that so many contexts insist on the book being covered, which can discourage external supplementary material and also make it feel unfeasible (not to mention impractical to have to lug it around as looseleaf extras or even extra notebooks) – and the fact that (I believe) without a specific invitation to do their own thing outside the formal bounds of the coursebook content, some teachers may not notice the potential for this, or end up with a syllabus/schedule that makes no room for it. Anyway, interesting to read a different perspective on it, and loved all of your other comments (especially the call for more original, memorable and inspiring materials!). As much as I would like to continue this discussion, after five days and 63 comments I’m afraid I’m going to have to retire here (and get back to, erm, finishing a coursebook!) Many thanks for all your contributions and ideas. This remains a “hot topic” for many teachers and I suspect that it will continue to be so for many years. Thanks to Scott Thornbury for inviting me to be the first guest blogger on his great blog. Although I worried a bit about being asked to do C for Coursebook (I mean, really, it felt a bit like entering the Coliseum and waiting to see what would emerge from the great doors to attack me) it was a pleasure and an honour to be here. Thanks for all your time on this Lindsay. It is a contentious issue, and I think you handled yourself (and all of us opinionated critics) superbly. And I do remain a very firm fan of all the work you do with coursebooks! Thanks Lindsay – you did a great job, and it was very brave of you to enter the lion’s den, as it were. I’m delighted that this discussion hasn’t degenerated into either coursebook-bashing or product promotion, but has instead indicated how the issue of materials design is still very much at the heart of ELT pedagogy but also just how fast things are moving. You can go now, Lindsay. Go off and write another innovative coursebook, with or without blank pages! I know this conversation is ‘over’ and I know Lindsay has ‘retired’; I swore I would not get involved in yet another coursebooks ‘angel or devil’ conversation. I have just done a 3-hour workshop at IH Bucharest. Fabulous young teachers. Good fun. Whilst I was waiting, I happened to leaf through a business English coursebook called ‘In Business’, Mark Powell, Macmillan 2002. I have never seen it before, have no connection with Macmilland and don’t know the author. I found myself confronted with some really nice material. If I had seen this as a series of lesson plans (with a nice progression from warmer ‘thought’ pieces, to language work and reading, listening and role-play) I would have been really impressed by the teacher in question. I have watched hundreds of classes in my time and many of them were not nearly this good on paper. If some of the ‘coursebooks-are-rubbish’ commentators produce lesson plans as good as what I saw today, then that’s fine. But I bet some of them don’t. I have also watched hundreds of teachers using coursebooks (and have used a fair number myself). None of them would have taken In Business straight off the shelf and taught it. On the contrary, the material I saw looked like perfect springboard stuff; I could adapt it, play with it, bring in my own material etc. And so my over-riding conclusion is that die-hard coursebook critics are actually saying much more about themselves than about coursebooks. Using coursebooks well is a skill. Perhaps they just don’t have it! I agree that using coursebooks well is a skill. Last year I did my DELTA at IH Newcastle (really amazing course/team) We had to teach 4 observed assessed lessons. As far as I’m aware not one single candidate taught such a lesson using a coursebook. Time and time again aims and objectives were drummed into us. Objectives being defined as, what would this lesson help the student with in terms of real life English tasks? How would it better enable them to negotiate their way around life in Newcastle! What they did encourage us to do though was move away from coursebooks, to be critical of coursebooks, to research the particular area of teaching very thoroughly indeed and then produce a detailed, original plan. One of the main factors that was drummed into us throughout the course was that our teaching should be learner centred and relevant. In a completely different context I saw a wonderful talk at IATEFL from a lady using “Dogme” with her business clients. No coursebooks. What she said really supported my own experience in that field too. Last year I had to teach a very busy CEO of a multi-national pharma company in Switzerland. Our first lesson I turned up armed with carefully prepared materials on giving presentations. I quickly realised that was a complete waste of time for him. So each week I turned up with no materials, just a notepad and pen. He would then either go through a powerpoint presentation he had to give in China, or run through some other presentation he needed to make to the board. He was the expert and knew his subject area – I listened, reformulated expressions he was using and gave alternatives which he either liked and noted down, or didn’t and then we found other ways of saying it. It wasn’t like a teacher-student relationship at all. He called it “teamwork”. His PA said, “He’s a busy man, don’t be surprised if he drops this after 3 weeks.” He didn’t he kept it going for 6 months, until I had to leave to do my DELTA. There are certain situations like this one, where coursebooks would be completely useless. A CEO has no time and needs to work directly and immediately with the material he is actually using/working with in his daily life. I don’t think most people who support a way of teaching unplugged are out burning coursebooks! The biggest challenge is to avoid the situation where the coursebook becomes a barrier between the teacher and student. The primary focus in class has to be the students who have rich, diverse and interesting lives and can provide ample material to work with if given the opportunity. This post has been far too long – and I’m just a regular teacher, definitely no expert. But, as with all skills, it’s when you know all the rules and are highly skilled in them, that you can afford to break them effectively. Go beyond. Let me play with your statement for a second, and ask “Do you think people who criticize coursebooks strongly and consistently are doing so because they do not have the skills to create solid, responsible, integrated, lesson plans?” Is it a kind of lashing out because well-constructed lessons hit a soft spot in their self images? If their lack of skills is not directly connected to their critical words concerning the usage of coursebooks, then it must be an incidental aspect of their personalities that makes them all incapable of creating ‘good’ lessons or able to use currently published materials well. That dynamic sounds kind of strange to me, disconnected and kind of randomly put together. Generally, though, your argument comes across as personal. Could distaste for coursebooks come from a truly political perspective? From a critique of the business/education complex? I also agree that using coursebooks well is a skill. But this is often because they are not constructed for specific teaching and learning situations. They need to be deconstructed and supplemented because they do not relate very intimately to the needs and desires of people in classrooms. Should we see this as a strength? If the utilizable aspects of a particular coursebook are judged to be very thinly applicable to a situation, why not dispense with it completely and tell people to save their money? I think, though, that your comment was aimed at ‘staunch’ critics, and I don’t really know what constitutes ‘staunchness’ in this case. If we could more accurately define what ‘strong’ and ‘consistent’ criticism is, we might be able to examine your statement in a more systematic way. This discussion is so important to me, so absolutely central to everything I’ve believed in over nearly all of my professional life, so I have to respond. I don’t think it’s helpful to polarize the whole issue of textbooks vs Dogme like this. It’s not an accurate representation of what goes on in what I would guess is the majority of classrooms around the world. I wish I had dared to be more frank in my support for Lindsay when I replied earlier in this discussion. So many people use and rely on textbooks around the world, rightly or wrongly, so many people who are entirely unaffected by the whole ‘how-many-angels-can-dance-on –the-head-a-pin’ discussion about textbooks and Dogme. They simply rely on a textbook, written and published by people with the best intentions of serving and supplying teachers with the material they need, and with pride. As writers and publishers, we’re not bad people to try and give them what they’re looking for. Nor are they bad teachers or lazy teachers. They’re simply people who want to do their jobs to the best of their ability. On the other hand, the ‘antediluvian’ (I mean that in the nicest way … pre-textbook) world which the Dogme people appear to live in has also taught me so much about teaching practice, and I’m very grateful. The thinking has brought me to where I am today, just as much as the many classes around the world that I have observed, in order to see the relationship between the teacher, the student and the textbook. And I’m grateful you have allowed me this insight. This is where I stick my neck out. My guess is that this discussion is very western oriented, and restricted to a minor percentage of teachers who are highly trained, very experienced and/or regular conference-goers. Many teachers in developing countries where I’ve worked respect the guidance, help and support their textbooks can bring them. Other teachers in developing countries don’t have that guidance, help and support, because there aren’t any textbooks at all, and Dogme is their default methodology. It doesn’t help our work to polarize ELT methodology like this. It only helps us if we understand that some things work for some people better than others. And if we don’t make this clear, there’s a risk that we leave many teachers more confused, challenged and lacking in confidence than they were when the discussion begun. If that’s what you want to do, then that’s fine. But it’s not what I want to do. Thanks Simon – for your deeply considered (and deeply felt) – case for coursebooks. Just to clarify (and this is in part a response to Jeremy too) I don’t think anyone on this thread is actually arguing for the total abolition of coursebooks – there seems to be fairly general agreement, that, love ’em or hate ’em, they are not going to go away – at least not for a while – and that in many contexts in would be inconceivable to teach without them. 6. (Not sure if this was mentioned but was perhaps implied) Publish coursebooks for specific contexts – i.e. Local rather than Global! The English for Palestine course (that I have been involved with, along side Simon and Adrian Underhill, in a consultancy role) is a good example of this. None of these ideas necessarily imply the demise of coursebooks – only their adaptation to particular learning ‘ecologies’. In short, what we want is books that are adapted to their contexts, rather than having books that require the contexts to adapt to them. In fact, here in Spain, we (workbook writer and I – I wrote the SBs and was ‘course consultant’, ie the author in ‘author-driven’) managed to convince our publisher to include blank space at the end of each workbook unit. It was a way of motivating teens (the course is for 16-18 year-olds). A sort of graffitiable writing journal space. The book came out two years ago, and it’s doing OK. They wouldn’t let us have whole pages, but something like 2/3 of a page. In fact, I think there are blank pages too, at the end of the book, from memory. And we quoted you, Scott, and Luke in the TB in support of the methodoloyg we used. I’m really not going to go on and on about this, Scott, but I wanted to reply (finally, please)…. how many teachers have the time or energy to plan lessons constantly with the same care and rigour as DELTA candidates. Honestly? Teaching one to one? I’d be hard pushed to defend slavish adherence to a coursebook in that situation (well in any situation if it comes to that). A Romanian teacher told me today of how she walked round a factory with her one-to-one student and helped him to explain the factory processes to her. Emergent language. Right on. But 30 students? In a Mexican secondary school? You tell me you can help all of them emerge? Teaching 25+ contact hours a week? Next time I do my DELTA (!) I will do every single assessed lesson coursebook free. Of COURSE I will. It would be crazy not to. But come see me two semesters in to an exhausting 25-hour-a week teaching schedule? Not so sure. Then I will spend at least some of my time relying on the kindness of strangers! Just to be clear – I am not anti-course book, not at all. But I do believe teachers can pepper their lessons with dogme moments, use bits of the coursebook or none indeed at all. In a 25 hour week with a huge class, what a refreshing change it might make to split the class into groups and have them write their own questionnaire’s – then interview each other – then work with the emergent language – then have them publish that – then have them practice in groups presenting that – then finally present it and perhaps vote on the best. That would take up more than one lesson to do. So if you were working on a unit about the environment you could then use that topic to extend into a task like that. What about the origins of Task Based Learning. I imagine Prabhu was working in a similar situation to the one Jeremy describes in Mexico in Bangalore? He didn’t reach for a text book, he got maps of the area out and used them! I have a brand new teacher right now who naturally teaches that way and the student’s love him. In my early career I taught in Australia 25 hours a week – yes I used and appreciated the coursebook to base planning around/for a model but lots of the time branched out away from it as did most teachers at the school where I worked. We did lots of surveys/projects/presentations/authentic material too. Regarding my DELTA course I only gave the examples to exemplify the style or flavour, the expectations they wanted from the course. Naturally I wouldn’t write a DELTA lesson plan for every lesson (heaven forbid!) or expect anyone else to do so! Is teaching unplugged something only native speaking western teachers can do in western contexts? I can’t answer that from experience but perhaps someone else can? Some great comment here (and I’m just picking up from Jeremy’s contribution yesterday evening). I want to suggest a couple of things – my mind is racing from the blog effect of reading what would be an evening’s worth of real-time conversation in a couple of minutes! The first is in response to Simon’s heartfelt comment – I must challenge the notion that the dogme people (yes, I am one, I have the sign..) are ante-diluvian. I see dogme as a reponse to the present and future challenge of teaching English in a world where more people are learning English at primary level than ever before, and where people seeking to improve their English in teens or adulthood have often completed several coursebooks already. It is a pragmatic response, not a romantic gesture. Is it post-diluvian?! But we’ve never suggested the world goes dogme just because it works – or in my view is necessary – in certain contexts. We started by sharing our own experiences and found – initially to our surprise – that these were shared by people outside the worlds of adult education and teacher training, by native-speaker and non-native speaker teachers of adults and children, by teachers within and without state education, and so on. The arguments here are perhaps surprisingly very similar to the ones around the use of technology in classrooms. Not all classrooms are tech-equipped, and not all teachers are ready to go dogme. But this doesn’t mean that classrooms that are tech-equipped shouldn’t use that technology, or that teachers who can teach dogme shouldn’t do so. Like all teaching it must be context-sensitive and learner-focused. I’m sure we all agree on that and don’t think that strongly held views necessarily lead to polarisation. The second is in response to Jeremy’s provocative idea that coursebook critics aren’t able to work with them. My first doubts over coursebooks arose not because I couldn’t use them, or didn’t learn to adapt them, but because they didn’t seem to be helping my learners and our motivation, like Eartha Kitt’s resistance, was low. I don’t think it is an indulgence to suggest that teachers should feel energised by their lessons, and I think it’s good if they feel challenged by them. More to say on this but I smell bacon and egg; it’s time to descend into the real world. I would just like to echo some of Luke’s thoughts on Dogme. With regards to Simon’s claim that Dogme is ‘anti-diluvian’, I would dare to suggest that the notion of learner centred classrooms and learner driven content are relatively recent ones and not ones that can be traced back too far in time. At the same time, I would have to agree with Lindsay’s earlier challenge that their ever was a ‘pre-materials state of grace’. I think it’s being somewhat overly romantic to suggest that what many of us now think of as Dogme teaching today was ever widely practised in the past. In short, I don’t think it’s necessarily the case that no coursebook = Dogme. I would also like to challenge Jeremy’s comments alluding to coursebook critics as not knowing how to use them. I don’t want to come across as too anti-coursebook and I certainly don’t regard myself as a ‘die hard’ critic – In fact, I think coursebook writers have done a tremendous amount to improve the standards of ELT teaching around the world. However, I think like many other teachers who subscribe to Dogme principles, I came to recognise that English exists beyond the pages of a coursebook and by limiting myself to using a coursebook, I was denying my learners the chance to express what they really want to say and talk about things which are really important to them. I was really happy to find this discussion, albeit rather late, because it is something that everyone (in the Italian school/university system) thinks about this time of year. For many teachers there is no thought of whether to use a book or not, and it is definitely true to say that the book is the “authority” and reflects in market terms the often grammar orientated demands of the customers, namely teachers. Unless teachers themselves start feeling confident enough to branch out, which is not always easy when the language you are teaching may not be your L1, this is what publishers will focus on. Having said this, these same teachers are a group of human beings, like any other group, and within the group there are those who are enthusiastic and those who are less enthusiastic. Surely one of the tenets of Dogme is that what we are interested in is the learning process and the individuals involved, and the interaction that takes place in a classroom may be sparked off by a whole series of factors. One of these factors is motivating material in a coursebook, which may, in turn, lead on to other material from the Internet. I recently used the Earth Hour elesson from Lindsay’s Global coursebook, with my university students at various different levels including C2, and the resulting interest in Earth Hour was incredible. Students were putting it on Facebook, finding out more about it, participating, taking photos and loading them on Flickr etc. All this came about as a result of a spark from coursebook materials. So, I would add my voice to those who say what we need to do is to think about how to use the coursebooks, and Scott’s ten tips above crystalise much of this. I also wrote a few thoughts in my blog about my own specific university experience, in a moment of frustration because with numbers of up to 100 students in one class, I feel that I cannot use coursebooks the way I’d like to. In conclusion, then, I would definitely not do away with the coursebook, but I need to constantly find new ways to use it, and in my own context I think what would be most useful would be a selection of “resource materials” rather than a coursebook, and if they could be marketed in such a way as to be able to put them directly onto Moodle it would be even better. I think I should bow out of this conversation because I have talked and written on the topic so often before. But I thought I should give some kind of an answer to Peter and Steph and Luke and – well everyone. I need to say this, then: I absolutely admire, respect and indeed promote the creativity that occurs when teachers produce their own lesson plans, tasks and materials to suit their students. I have nothing against Dogme advocates who sing the praises of such an approach to teaching. I admire so many of the amazing lessons I have observed where teachers have had their own ideas, and, discarding the coursebook, have come up with something which engages their own enthusiasm and interests the students. But what i DO have against some coursebook critics is the unspoken superiority which says that they are somehow right, and that users of coursebooks are selling their students short; that coursebook use is somehow uncreative and that publishers are just money-grabbing cynics who care nothing for education. This is what i think: there are many brilliant teachers out there who teach with coursebooks and do it brilliantly. Give THEM their due sometimes, OK? There are many people who don’t use coursebooks and yet (maybe because of this) teach brilliantly too. They should be celebrated as well. Yet they (the anti-coursebook lot) are the only ones who seem to get the plaudits, and who claim some enhanced status. “It was only when I saw the light and stopped using coursebooks that I became the marvelous teacher that I am today” (listen, that IS the subtext of so many comments when coursebooks are mentioned. Read the comments – I am not talking about this blog – and see if I am not right). I will never try and force anyone who doesn’t want to to use a coursebook. It would be stupid. Anyway, I wouldn’t believe in it. But by the same token no one who DOES want to use a coursebook should be forced not to. You have all heard quite enough from me, now. I will retire, take a vow of silence, stop irritating people! Teachers who use coursebooks brilliantly “should be celebrated”. Agreed – all good teaching needs to be recognised as such, and rewarded, irrespective of what motivates it. Your ardent defence of coursebooks allays my conscience a little, since a coursebook series is about to come out with my name on it. (It seems appropriate to use this thread to ‘declare an interest’). An American publisher is shortly to bring out a series which is a print version of the online Netlanguages course that I was involved in, in the 1990s (pre-dogme I might add). I am being credited as “Course Designer” – which is more or less what I was. I thought you might as well hear it from me first (although I gather a certain Austrian gentleman has been circulating a rumour about it!) as I can foresee some finger-wagging, not to mention finger-pointing. Or worse. Well, you read it here first! Has nobody come across schoolteachers who, frequently concerned with issues of control and primarily focused on ‘the examinable’, regularly do not do the woollier, non-examinable parts of the coursebook which happen to be the parts where language is personalised, creativity is possible and English becomes fun? I have. Should we be shocked seeing Scott’s name on a coursebook? I can imagine quite a few people who are going to have a good laugh. Dogme says “materials light”, which is different from “no materials”. Almost all posters here seem to agree that working with emergent language in a conversation-driven classroom context is the most desirable way to go for both learning and teaching. Being able to fall back on a coursebook in stressful periods of many teaching hours, can be quite a solace to teachers. And if they indeed select material from the coursebook “where language is personalised, creativity is possible and English becomes fun” and process it or let their students process it in a way which is functional and natural, then maybe this can be considered a Dogme lesson. And so the competition opens for designing the first Dogme-lesson with Scott’s coursebook. I’m sure it can be done. I’ve been meaning to post to this since comments way back in the 30’s, so apologies for joining so late. It seems to me the problem is when we talk of ‘a’ coursebook, or perhaps more ‘the’ coursebook. I see the problem as a (or the) book defining a course. This means it also defines the limits of knowledge for that course. There is scope to go beyond the book, but thats all you are doing – you are still defining things by being ‘not in the book’, and then you go back to ‘the’ book when you have finished dipping your toes elsewhere. What is or isn’t worthwhile knowing is not even up for discussion but controlled by writers publishers and managers/boards of education/whoever selects the book. To me this relegates the outside knowledge, which all too often is the personalisation, as being outside the parameters of the course – an added extra, something to look at as interesting but not integral to the real knowledge – that presented in the book. It needs to be the other way around of course, but where you have a prescribed coursebook, how can it be? It’s not as if language is an engineering course where the parameters can be neatly confined. Unfortunately, with the uniformity of most coursebooks in terms of topic and approach maybe there wouldn’t be much to gain. I know this conversation has died now, but it inspired me. 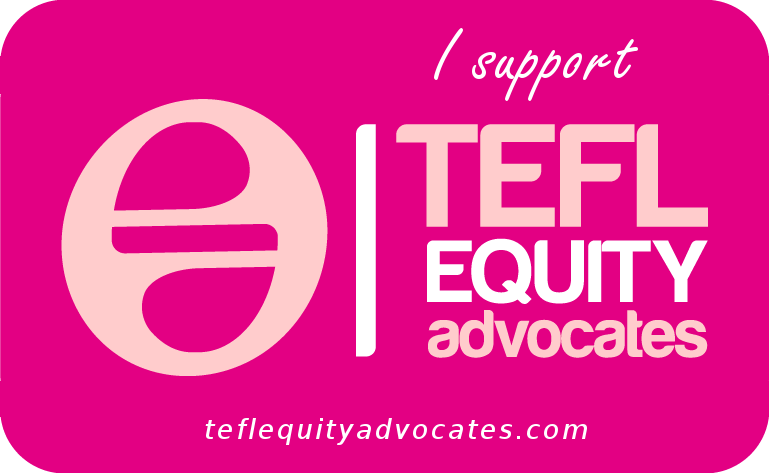 I am currently taking a diploma in TESOL with Hallam Uni in Sheffield. A part of the assessment is a personal research unit… and I’ve chosen to investigate EFL teachers’ opinions of coursebooks. I fear that there are many faults with my questionnaire, but part of the process is reflection on the ‘good and the bad’ things in order to improve on them for future studies. Please could you either visit my blog to fill the questionnaire out (it only takes 5 mins I promise) or visit the google.docs by clicking on this link. I wonder if dogme is voicing objections not only to coursebooks related to language teaching but also the ones on other subjects, namely, physics, chemistry, math, and etc. Can the claims against coursebooks be extended to the whole coursebook oriented education? I’m not qualified to say whether other subjects are ‘over-resourced’ and there may well be a case for subjects, like physics or history, needing to package information and specialised texts for teaching purposes. (Although I suspect that the policy of ‘the more the better’ operates in these subjects too). But the kind of ‘facts’ that you need for language learning can be found in any good dictionary or student grammar, and the only way that EFL texts are ‘specialised’ is in their simplification – some would say over-simplification. Nowadays, simplification of texts is made easier my online tools such as textalyser http://textalyser.net/index.php?lang=en#analysis, which assess readability, and search engines like Twurdy http://www.twurdy.com/index.php that search for ‘easy’ texts. I believe that the coursebook is important and is “the visible heart of any ELT programme” (Sheldon, 1988, p.237). As such, the value of coursebook evaluation that guides its selection is “an intrinsic part of teaching and learning”(Rea-Dickens & Germaine, 1994, p.4). If the coursebook selection was based on a thorough and in-depth evaluation, then I think we will not complain about it later on. It is the teacher responsibility to choose the coursebook that is suitable for the learners’ needs and since there is no perfect coursebook, then ADAPTATION is required rather than being against all coursebooks. Thanks for this argument for and aginst coursebook . However, I do belive that coursebooks are really essential in ELT classes , but we as teachers should not be driven all the time by them .Our voice and changes should be obvious to reach ours goals and to meet the learners’ needs as well effectively and appropriatly as well . So whenenver something is not suitable we can adapt or complement it from other materials. I don’t want to be misunderstood to start with “a bad workman always blames his tools”. It would be better for Lindsay or any one who is anti-course book advocate to give readers real statistics showing what is going on the ground. I haven’t seen empirical studies showing the ratio of those who are using or supporting the use of coursebooks against those who are not. We have a saying that ” the one on the beach, is the best swimmer ” and of course is the swimming coach. Empirical studies would give clear vision on whether these claims are or are not. Numbers tells better. Although it could be a good idea to stop using coursebooks in EL classes, it would be really challenging, since it would need considerably active,skilled and creative teachers. However, this may not be possible in some contexts where students learning English as a subject not as a language, which should be soon changed as I think. It is useful to see such arguments for and against course book. However, I think teachers should be encouraged not to depend totally on course books. They can be considered as a head start in any lesson, but since there is no perfect course book, teachers should move towards the use of supplementary materials and adaptation. Hi, this article provides a very detailed coursebook information. However, as the development of new technology, there got many other way to learn English language which is beyond the coursebook, for example, CALL, MALL, it is the time to rethink about the role of coursebook. Very interesting article, as I was teaching voluntarily to a group of Myanmar women refugees in Kuala Lumpur a few years ago. As I am doing my CELTA now (how I wish I’ve done this much earlier, but then again, I believe, that CELTA had evolved a lot too, so, I am at an advantage) I now realize all the flaws and “strengths” I had, teaching out of the cuff. I didn’t use a coursebook, just used whatever available materials I had back then (yep, Headway was one of them, just for the grammar and exercises though), a little bit of here and there. In the end, all the teachers were encouraged to use a Coursebook set up specially for the context of the women. This was painstakingly compiled by teacher volunteers who had been working with these Myanmar groups. The learners had an easier and more fun time, reading about their own characters and people, activities which are all involved in their own context. I guess, this is the way to go for the future. Per culture, a different set of books. Now I see how important it is for every teacher to adopt the situation, culture they are immersed in (for example, a group of immigrants in London,will have different needs than those coming from rich families in Asia). This increases learner motivation and out of the box type of teaching. Thank you once again for all you’ve contributed to the teaching world.